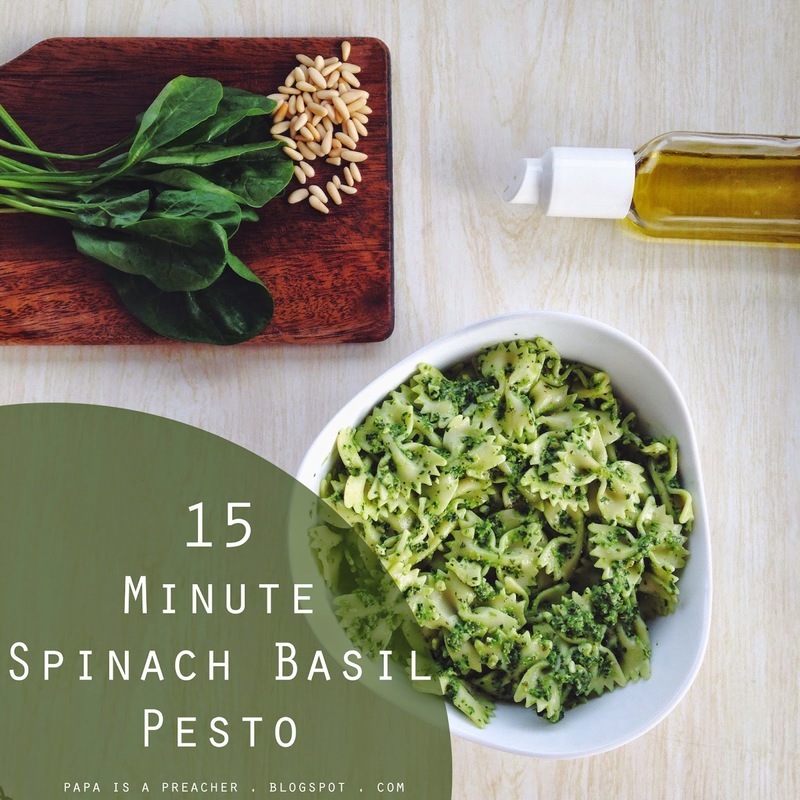 15 Minute Spinach Basil Pesto. When it comes to recipes, I am usually quite adamant in following the instructions meticulously. My mother is the complete opposite. Once she is in the kitchen she dominates it. She’s always inventing new things, making up her own recipes, or building off those of others. I don’t know when was the last time she followed a recipe. I, on the other hand, am constantly depending on the creativity of others. Last week we celebrated mom’s birthday in, what’s becoming our birthday tradition, a cooking Sunday. Her birthday had already passed a few weeks before, but we decided to celebrate just the four of us now that we’re back. So the four of us gathered in the kitchen to cook a pasta dish. Usually this involves using our imagination (them), or something off of Pinterest (me). I chose pesto. I can’t remember what recipe I used, nor can I find it in my browser history. All I remember doing is glancing at the ingredients, closing the tab, and deciding I could figure it out on my own. Even The Kid liked it. Which was an enormous “yes” for me because that Kid is sooooo picky. And you guys asked for it on Instagram, so I decided to try to recreate the recipe and share. It’s one of those, though, that will hopefully inspire your creativity with its basic directions. 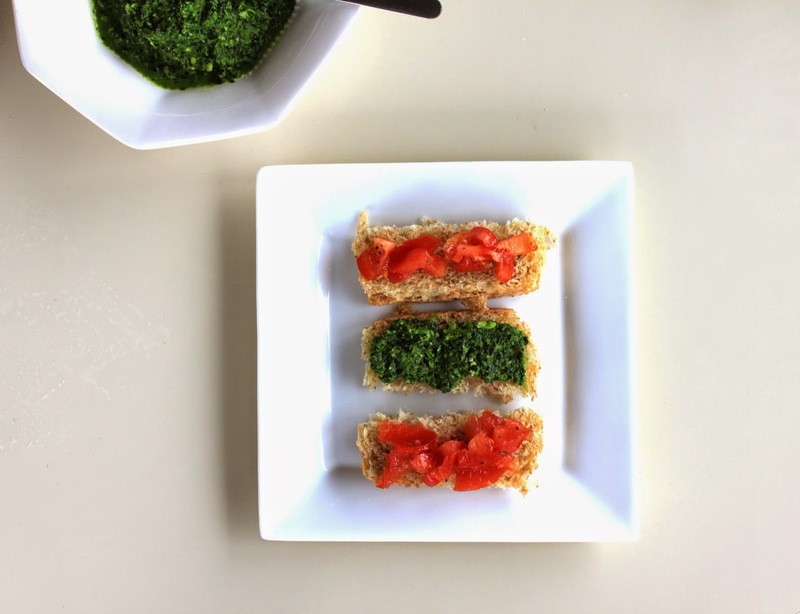 1) The spinach determines the amount of pesto you will have. 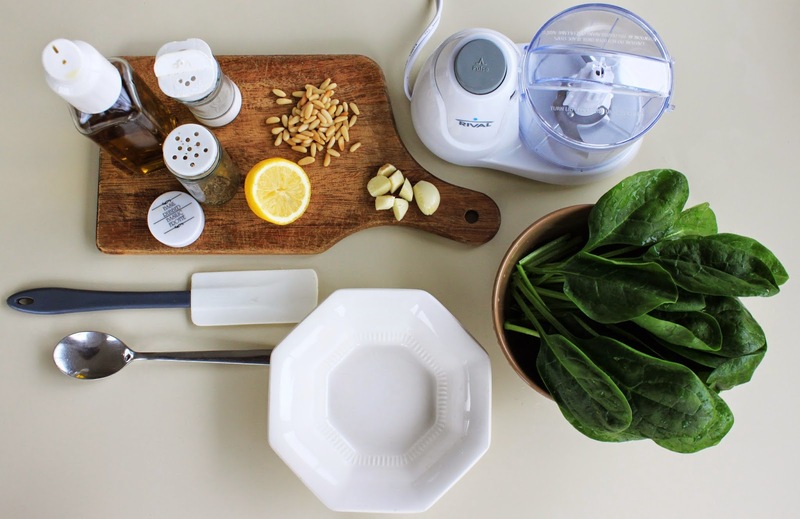 You can always adjust the seasoning and other ingredients, but your base will be the spinach so wash an appropriate amount. Remember that, as with most leafy greens, spinach has that notorious habit of going from a whole lot to a whole little once you do anything with it. 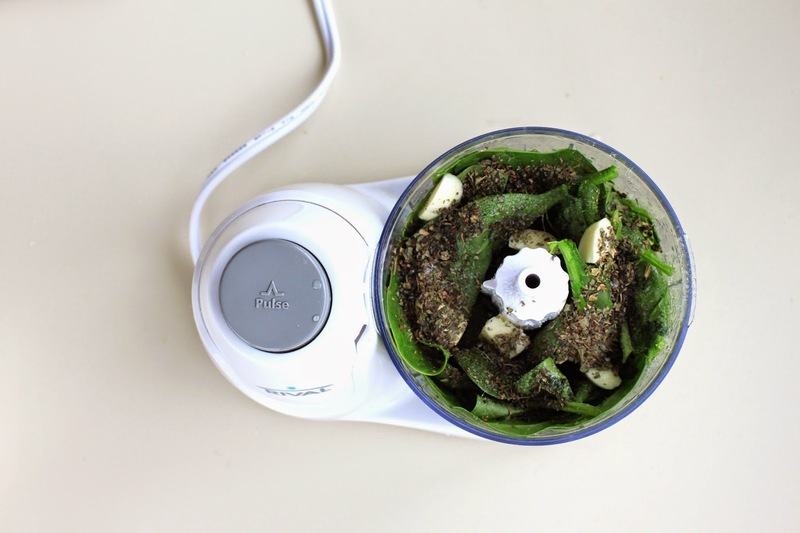 2) Fill food processor with spinach and drizzle with olive oil. 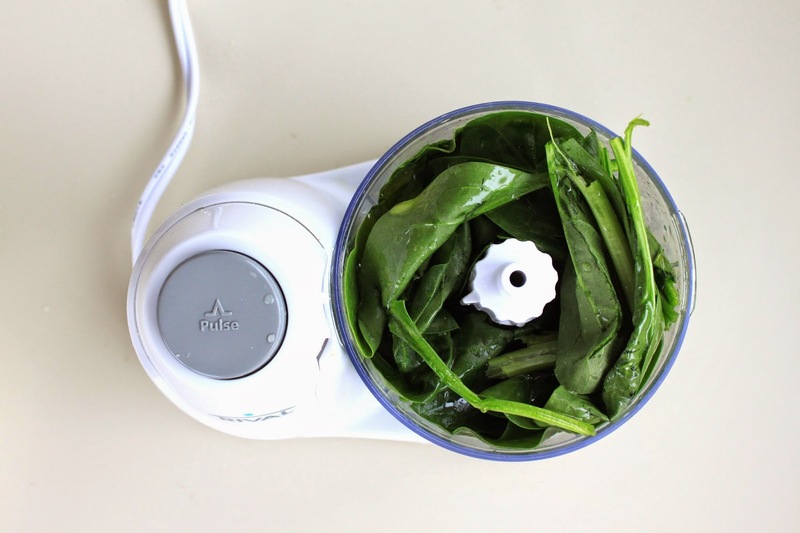 Blend until there is room for some more spinach. Add spinach, basil, garlic and olive oil. I used one clove of garlic for the amount of basil I was making. 3) Blend until the cloves have well incorporated into the mixture. Add lemon juice, pine nuts, and a drizzle of olive oil. 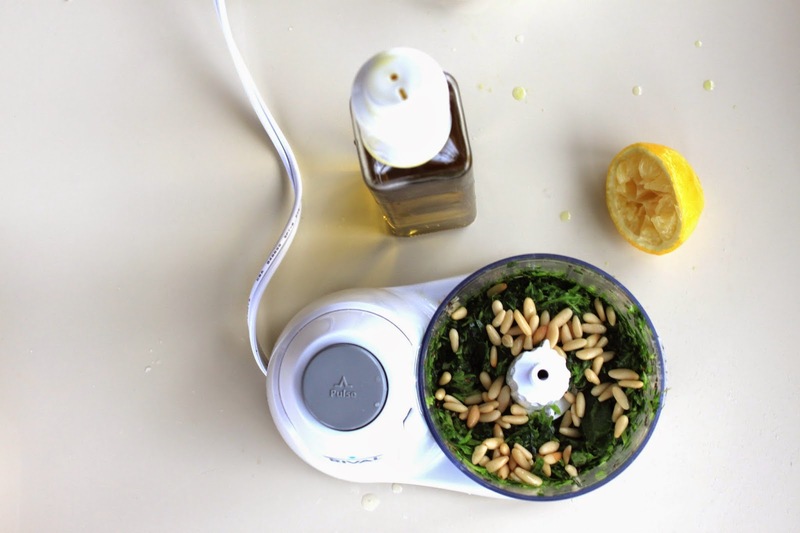 I used half a lemon, and a spoonful of pine nuts. 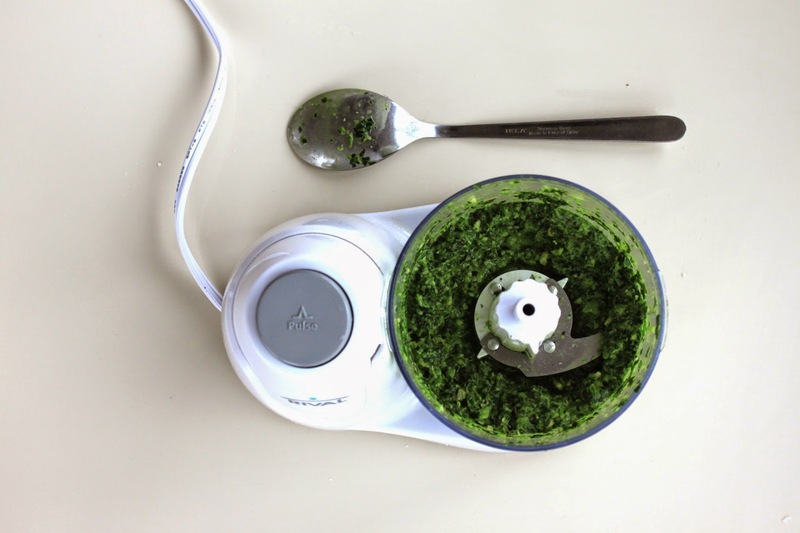 The nuts make the pesto creamier, so adjust accordingly. Blend until smooth. 4) Voila! 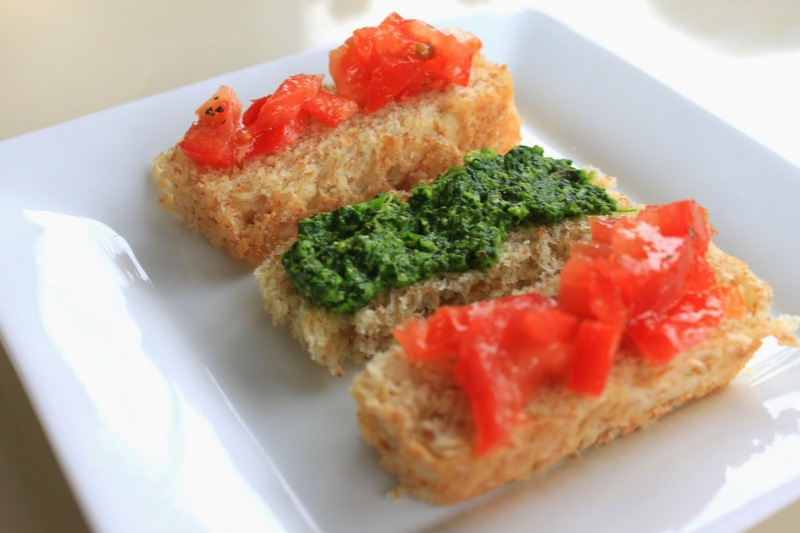 Now mix it with pasta, use it as a bruschetta topping, or spread it over your pizza. Enjoy! P.S. I know there is salt in the photo, but it really isn’t necessary. Add if you would like, but it is delicious without. And healthier too. 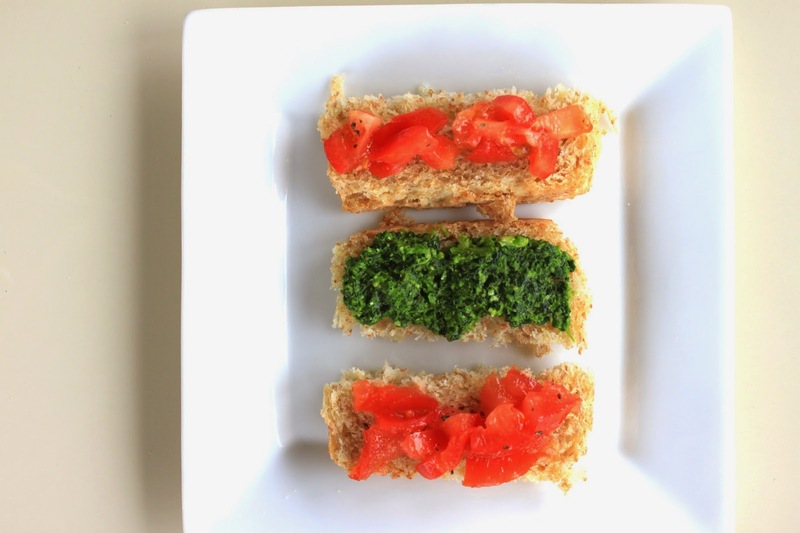 What do you like with pesto? Or is ‘what don’t you like’ a better question?